News broke this week that the once fledgling social network, MySpace, has added 1m users in 30 days. 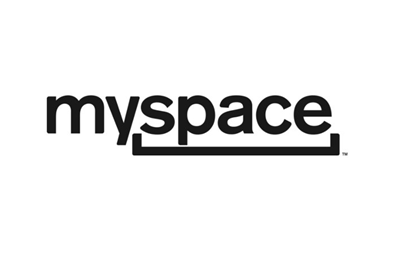 Around this time in 2011 it was reported that MySpace was losing 10 million members a month, and that it might even close down within a year. The return of a significant number of users is quite a majestic turnaround for the social network, which was once a bit of a laughing stock. In some places, it was incorrectly reported that this happened as a result of MySpace’s strengthened ties with Twitter and Facebook. I can see where you can now login with Facebook, but you cannot do the same with Twitter. This was the case on the screenshot used by the BBC in this article, back in March 2011. So, if you could have logged in to MySpace using your Facebook details for well over a year, it is hard to say that this is the sole reason for recent sign-ups. Anyway, if it was really joined up with Facebook, shouldn’t it be called MyFace? There are also a few reports saying ‘Justin Timberlake brings MySpace back from the dead’, but, for me, this is just a catchy headline. Timberlake was apparently one of the key investors who helped Specific Media purchase MySpace from News Corp for $35m last year. It now seems madness that News Corp paid $580m for MySpace back in 2005. 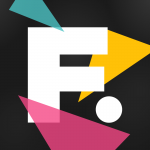 It is certainly a wise move to have a well-known music (and now film) figure involved, especially as the site’s focus will be on music. As for what Timberlake actually does, who knows? But the ‘trousersnake’ is certainly unbeatable for PR. To be honest, MySpace looks the same to me as it did last year. The interface is still clunky, the speed terrible, and not enough has changed that would cause such a dramatic turnaround in fortunes. So why the 1 million users in a month? The real reason that the network is on the up is that it has released a new MySpace music player. It is this player that allows a simple connection to Facebook; with a reported 42 million songs that compares very well with other services such as Spotify or Pandora. When you connect the music player to Facebook, this automatically creates your MySpace profile. This must be the REAL reason there has been a growth in MySpace users. So, really, the growth of MySpace users can be attributed to users of the new music player who have connected to their Facebook account. Funnily enough, I did this just now as a test. Another clever thing about the Facebook/MySpace connection is that it scans your musical likes from Facebook and converts them into friends on MySpace. It could do all of this without you really knowing about it. Listening to music with the MySpace Music Player feeds into the music app on Facebook, alongside Spotify, thus advertising the MySpace music service even further. It remains to be seen whether this impressive rate of growth will continue, but the music player seems to tick a lot of boxes and it is still early days for the service. There are certainly lots of improvements that can be made to the player, especially navigating to it from MySpace itself. So what do you think of the MySpace comeback? Do you still have a MySpace account? Would you try the new music player? I’d love to hear your thoughts.